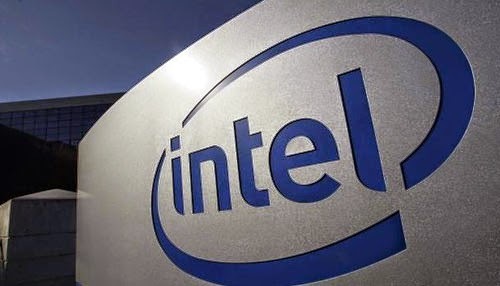 World’s renowned US-based Chip maker Intel is going to launch the programme, “Digital Skills for India” with Government of India to digital literate in more than 1,000 panchayats and it is expected that by the end of 2015, this move will impact five million citizens. As the part of programme 'Digital Skills for India', Intel India has launched a digital skills training application, which includes the modules on digital literacy, healthcare and cleanliness and financial inclusion in five Indian languages. According to Intel officials, that app will be free on Android Play Store from December 6, 2014 in five different languages such as; Hindi, Tamil, Marathi, English, Kannada and Gujarati. Whereas the similar offline training module will be available in seven different Indian languages. Intel India is also working with BBNL (Bharat Broadband Network Limited) to provide the facility for digital literacy training to key person in the first 1,000 panchayats of India under the NOFN (National Optic Fiber Network) roll-out in India. According to of DeitY (Department of Electronics and Information Technology), R S Sharma, “Digital transformation in India, it’s essential that Government of India and corporate works together to create the sustainable model for the education in digital sector”. The main aim of this program is to digitally empower the citizens of India. PM, Narendra Modi was stated on Independence Day while addressing the nation, “We will transform the whole country with Rs.1 lakh crore projects and soon country will witness the digitally empowered economy and he asked the private sector to join the government for the success of this vision”. i. In past few decades, Intel has trained more than 18 lakh teachers via; Intel Teach programme. ii. More than 4,500 faculty 2.35 lakh students in 450 institutes have been impacted with the help of Intel Higher Education programme. iii. Intel Learn programme has reached more than 1.8 lakh students in India. iv. In 2012, NDLM (National Digital Literacy Mission) was launched by Intel along with Nasscom. v. More than 16,000 youth were trained by 400+ volunteers with the help of 10 NDLM partners just in 7 days during Digital Literacy Week in Dec. 2102.
vi. Intel has achieved 100% digital literacy in some villages. vii. Intel has adopted 3 villages in Andhra Pradesh, Tripura and Rajasthan and set up digital literacy training camps. Recently, Intel has announced the 'Innovate for India Challenge', to create the solutions that are relevant for the country like India. Earlier, in 2012, US-based firm had launched the same National Digital Literacy Mission and it was able to reached more than 38 lakh Indian citizens. According to Timothy Q. Parker, GM Asia Pacific Japan and Vice- president of sales and Group of marketing, “As we all aware that India is developing very fast with technological innovations and that why we are strive to provide Indian citizens with computing solutions in affordable cost with easy accessibility”. How to Stop Android Handset from Lagging?